I read this Disney message board called Disboards A LOT! There are a lot of complainers on there but especially when it comes to the food. I always enjoy the food at Disney. I feel like I get my money's worth (especially since the last two years we have had free dining when we go). But even if I paid for the dining plan I would still feel like I got my money's worth. 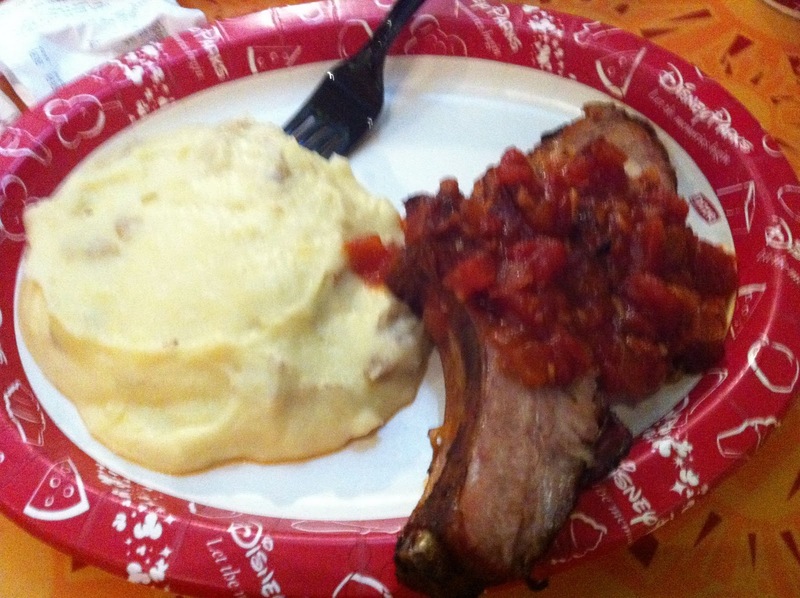 The next few pictures are the food from Whispering Canyon Cafe. Kaitlyn and I both had the skillet (which was huge and really good). I don't know why John did not get that too but he had some pork chop thing. 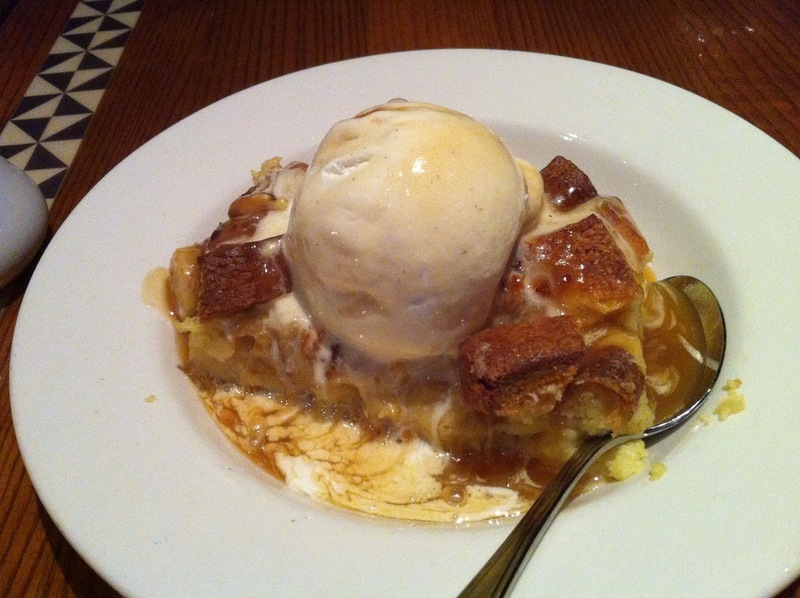 The nice thing about the dining plan is every meal includes dessert (even though you are so stuffed from the meal part). This is John's cheesecake, Kaitlyn had the smores, and I had some sort of bread pudding. We also had bottomless milkshakes for our drinks. This was the meal John, Kaitlyn and I had at Studio Catering co. in Hollywood. A buffalo chicken sandwich meal. This was my breakfast at 1900 Park Fare. This meal was a buffet. That breakfast pizza was really good. This was our meal at Sunshine Seasons in Epcot. Kaitlyn got the chicken, John and I had the pork chop. 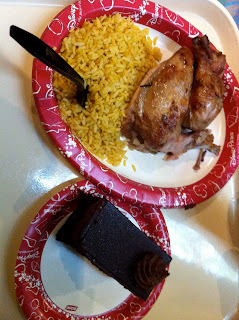 This was probably the best quick service meal I have had in the last two trips at Disney. And this is the bread pudding at Ohana that makes the entire trip worth it! Though I will say I was not as impressed with Ohana this time as I was last year.